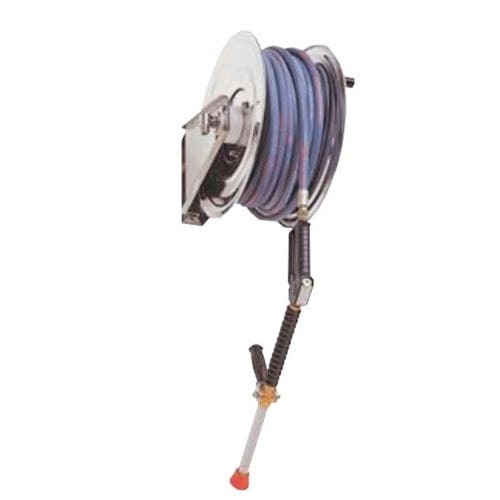 The UMU A/B is a fundamental type hose reel equipped with a hand-operated rewinding instrument. This horse reel is flexibly ideal for easy cleaning operations or setup on a roving cleaning cart for tasks to be done in various locations. Meanwhile, swivel bases and tailor-made designed carts are available upon request.